Meemic congratulates Laura Chang, the 2018-19 Michigan Teacher of the Year. Laura is entering her nineteenth year of teaching at Sunset Lake Elementary in Vicksburg Community Schools, where she currently teaches second grade. Previously, she has taught pre-K, first/second grade multiage, third grade and has worked as an instructional consultant at Tobey Elementary. 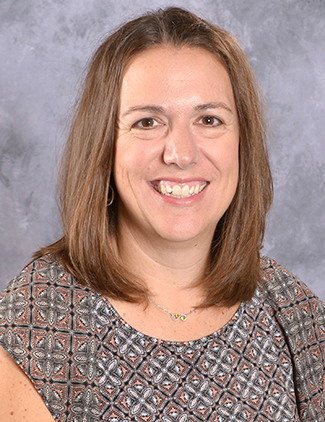 She serves as a mentor coach and district technology integration leader. She also teaches undergraduate and graduate level courses in the Special Educational and Literacy Studies department at Western Michigan University. Excellence in teaching deserves to be recognized. Know of a great candidate for the Michigan Teacher of the Year or want to become one yourself? For the 2019-20 award, the nomination cycle will begin in September 2018. Find the online nomination form and other information at the Michigan Department of Education. Meemic has sponsored the Michigan Teacher of the Year award since 2007.